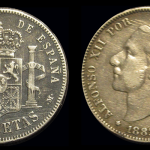 Three sessions of Portuguese and Overseas Gold and Silver coins taking bids until October 7th and 8th. Numisma, an outstanding auction house based in Lisbon, Portugal, is partnering with iCollector.com and the Live Auction Group to bring an outstanding auction of coinage to bidders from around the world. 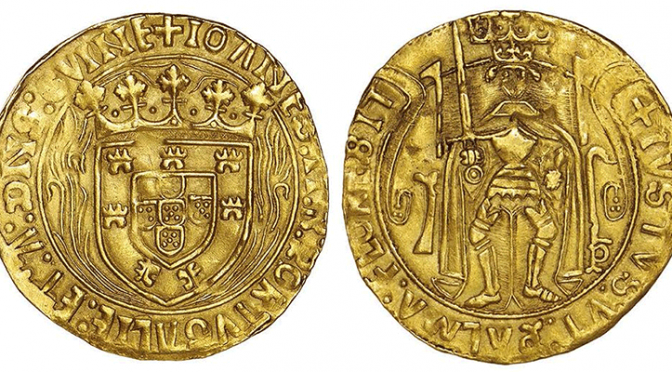 This auction will feature important coins from Portugal and a fine selection of Overseas coins. Over 900 lots will be shown over three session taking place on October 7th and 8th. Bidders can leave their maximum bids online via iCollector.com before the live auction. Registration is simple and secure, backed by iCollector.com’s industry leading marketplace. Numisma will be running three live auctions from their home in Lisbon. They have been a longstanding pioneer of auctions in coins, medals, and banknotes since 1976. 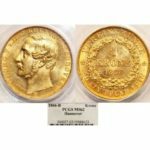 During all of this time, they have built an outstanding reputation as professional numismatists, and have delivered excellent auctions for both buyers and consigners. This auction will feature a new partnership with iCollector.com where they will accept bids before the live auction and then perform them on behalf of each individual bidder during the live sale. Leading off in the first session, at Lot 7, is a gold coin from King D. Sancho I who was King of Portgual from 1185 to 1211. To start minting gold coins for the newly created Portucalense Kingdom, the king copied the prestigious Morabitino which was first issued around 150 years previously. Coins from the king were issued for prestige of the kingdom and for hoarding by the rich and powerful and would be struck in appreciable quantities. This is in an exceptional state of conservation, without any damage to tarnish the 800 year old brilliant shine. 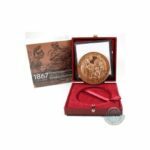 This coin is expected to exceed its low estimate of 25,000 Euro when the hammer falls, and the demand and interest will be exceptional. This auction has an amazing selection of coins from various kings and time periods; and bidders can view everything by visiting iCollector.com. The first two sessions, on October 7th and 8th are where to find all these pieces of history. In the third session of the auction, which is also on October 8th, bidders will find many coins from overseas nations and territories. Bidders will find great selections from Angola with such examples as Lots 630 and 666. From Lots 715 to 741 is a great collection of pieces from Mozambique. Other overseas coinage such as India, Timor, and Brazil, are sure to attract serious collectors. This auction is a must for any collector of Portuguese gold and silver coins; as well as eager numismatic collectors of these eras. This auction is open for bidding on iCollector.com until 3 hours before the live auctions take place. At that time, the auctioneer will take the high bidders and bid for them against the live auction audience. Registration takes only a moment and be done with an email address, a Facebook account, or a Google Plus account. Bidding is safe and secure, and all bids are confidential. 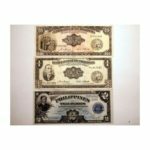 iCollector.com is pleased to host this important auction and look forward to sharing this catalog with their audience of worldwide collectors.